Be careful out there. And I direct this to the those behind the wheel, not on them. 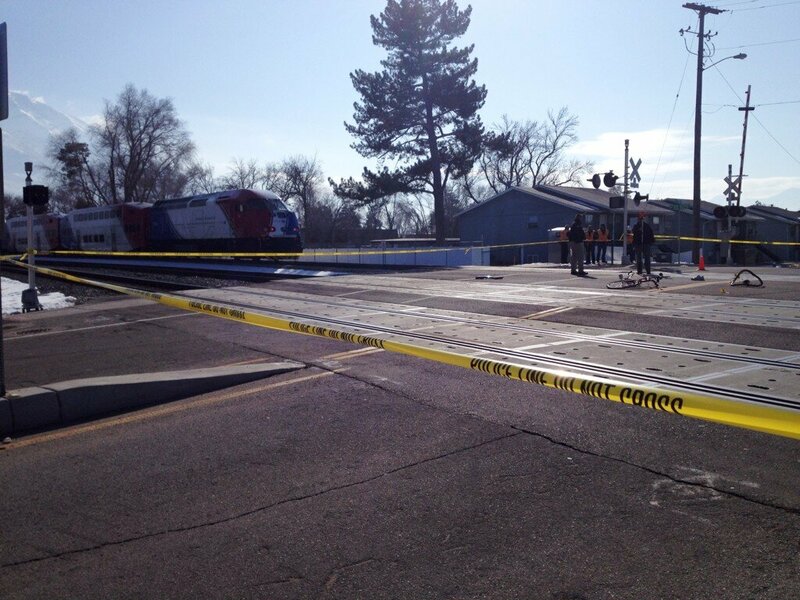 PROVO — A 69-year-old Provo man was killed after being hit by both a vehicle and a FrontRunner train Friday morning. The incident happened about 7:30 a.m. at a FrontRunner railroad crossing near 700 West and 600 South in Provo. Detectives believe that a woman driving an Escalade hit Douglas Crow on a bicycle with her front bumper and pushed him onto the train tracks, said Provo Police Lt. Mathew Siufanua. Crow was then hit by the FrontRunner train. He died a short time later at Utah Valley Regional Medical Center. Siufanua said Crow would reportedly ride his bicycle each morning. According to Crow’s son, he worked for Brigham Young University and was getting ready to retire. Several questions remained outstanding Friday morning, including what condition Crow was in after being hit by the vehicle, how long he was on the tracks before being hit by the train and whether the crossing arms were down yet when the bicyclist was allegedly hit by the Escalade. The vehicle believed to have hit the cyclist was found stopped 20 yards away from the intersection, after having already driven over the tracks, Siufanua said. Photos submitted to iWitness showed a bike still near the tracks, and a witness on the train reported seeing debris on the tracks prior to the train hitting the pedestrian. The Utah Transit Authority set up a bus bridge between Orem and Provo to accommodate passengers.